Grand Theft Auto V has been in just as many headlines as the iPhone 5S, 5C and iOS 7 this week. Within 24 hours of launching and making $800m (£497m, AU$841m), GTA V is now up to a whopping $1 billion (£6.2b, AUD$10.6b) and rising in worldwide sales three days later. 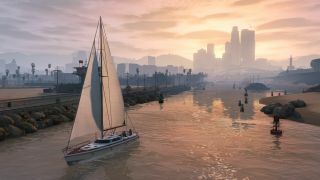 The game's publisher Take-Two Interactive said today that it's the fastest any other "entertainment property" has ever sold. The game is out now for the PS3 and Xbox 360 (obviously) and expected to show up on PC and the next-gen PS4 and Xbox One in the future. These blips are the fastest thing you'll read on TechRadar.